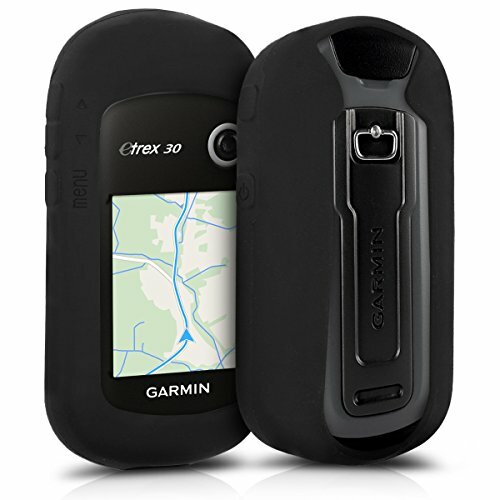 FLEXIBLE & ELASTIC: The silicone case is a protection cover which adapts to your Garmin eTrex 10/20/30/201x/209x/309x thanks to a flexible silicone. It can also be removed easily. The silicone case for your GPS handset is tear- and slip-resistant. TOP HANDLING: Dirt, scratches or a short drop - the slip resistant soft case is a practical cover and protection for your GPS device. All buttons and ports remain perfectly available in the silicone cover. STRONG & STABLE: The soft cover for your mobile navigation system is resistant, resilient and insensitive, whether you are hiking, mountain climbing or practicing any other outdoor activity. WINDOW TO THE WORLD: The touchscreen display of your navigation device has been left out so that you can use your outdoor GPS handset as usual.